MPs are not convinced that grammars can really boost social mobility [Image: Getty Images]. A spokesperson for the Education Department said grammar schools have a “track record of closing the attainment gap to almost zero between children on free school meals and their better off classmates”, and that “99 per cent of grammar schools are rated good or outstanding”. But that’s not tackling the issue, is it? The question isn’t about how well grammar schools teach pupils once they have been selected – it’s about how grammar schools select their pupils in the first place. The tests that grammars use to determine who should become pupils unfairly favour those who can afford private coaching, according to the Commons’ Education select committee. Perhaps the Department for Education should address that, instead of pontificating on unrelated matters. The government has failed to make a convincing case for opening a new wave of grammar schools in England, say MPs. 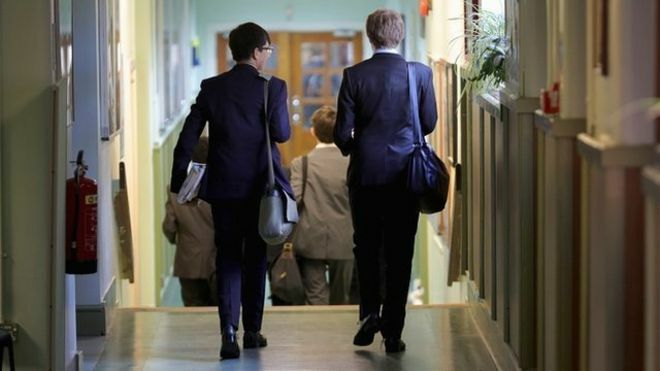 The education select committee has cast doubt on claims that they can help social mobility. MPs said there had been no convincing evidence that a test could be devised which would not favour those who could afford private coaching. As such they argued that such tests should not be the only criteria for entry. The MPs also raised concerns about how an expansion of grammars would affect other non-selective schools, in terms of funding and the supply of teachers. The committee called on the government to carry out an assessment of the potential impact on the wider school system. Grammar schools are a total distraction, they are of course good schools but so would any school be if all we had to do was to educate the brightest most academic children. But how many graduates do we need sweeping our roads and cleaning public toilets? I am not denigrating people that actually do those jobs, merely pointing out they are essential in any functioning society, and just how many jobs are being created to serve the amount of graduates leaving university, we already hear about graduates that can’t find jobs because they are over qualified for the kind of work that is available. Could it be just playing the blame game, create disruption in the schools, divide pupils along class lines, underfund so that they become dysfunctional and then use any excuse to say the system is not working, and the private sector steps into the breach. The well tried and tested Tory formula to dismantle the state. If the private sector really did work, socialism would never have been invented as there would never have been a need for it. Finally lets look at the products of private education: Cameron There will be no top down reorganisation before the election, only to implement the great disorganisation leading to people dying on stretchers in hospital corridors. Dumbo Boris Johnson our Secretary in the foreign office, duly creating chaos wherever he goes. The grammar schools should never have been shut the comprehensive system of the best pulling up the worst is as about as clueless as the idea of trickle down wealth so loved but he tories the old fashioned Grammar schools gave us working class kids an opportunity to step up a level that otherwise had to be paid for at public schools. Since when has a positive and convincing argument overruled divisive Tory dogma?